While matte lipstick formulas are not going anywhere, lip glosses are getting a major attention this season. The natural dewy look that so many of us tried to achieve in fall moved toward lips—and heavily glossed lips are one of the biggest beauty trends for Spring 2018. 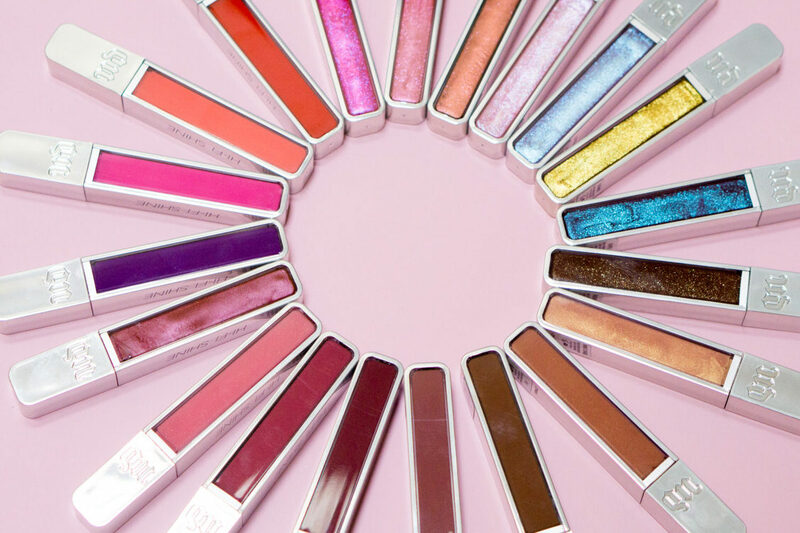 Many brands are upping their lip gloss game the season and Urban Decay with their newly launched Hi-Fi Shine formula is one of them. 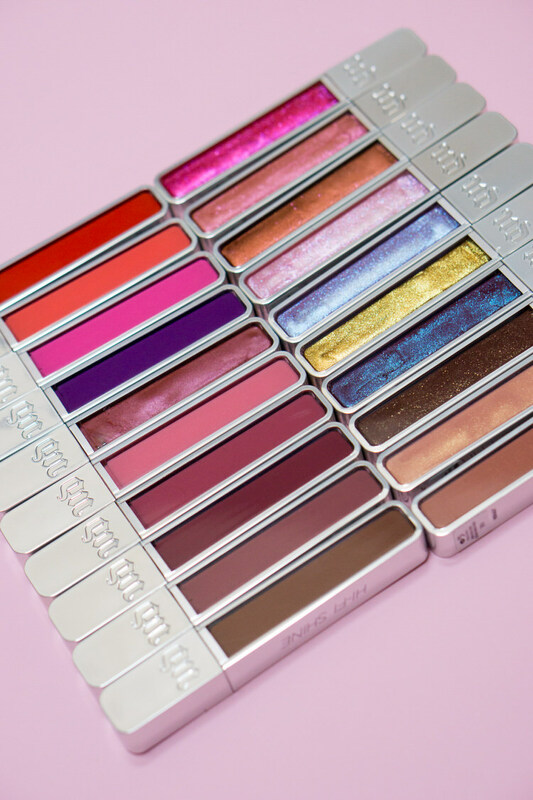 This year is a season of lip product reformulations for Urban Decay as the brand recently redesigned and relaunched the entire range of cult favorite’s Vice lipstick collection and came out with a bunch of new awesome products. 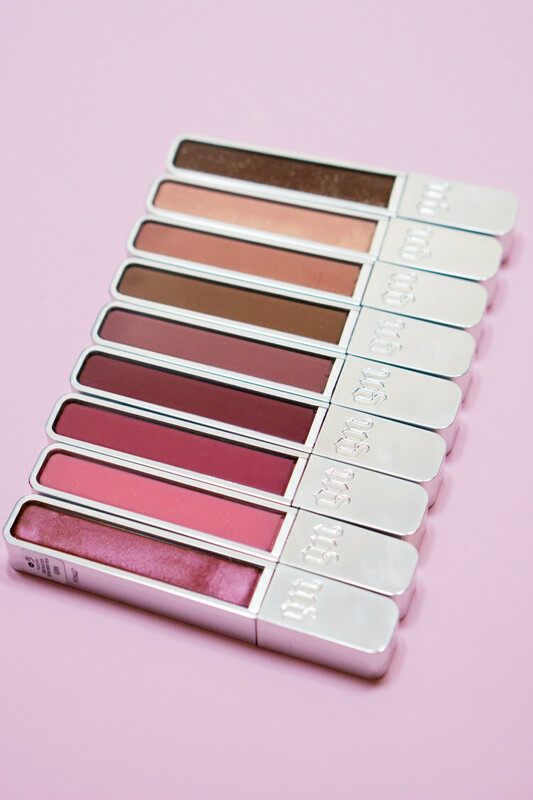 This time around, it’s all about brand’s new take on their best-selling lip gloss formula. 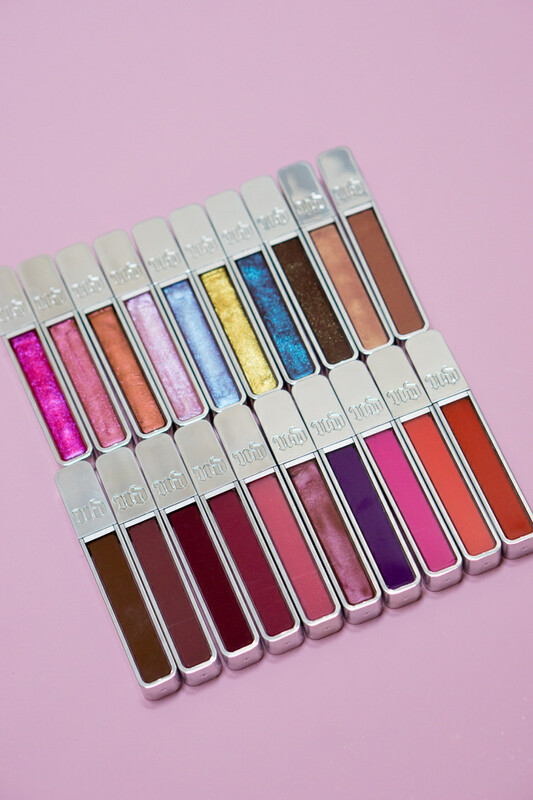 The new Urban Decay Hi-Fi Shine Ultra Cushion Lipgloss collection offers a lineup of 20 shiny long-lasting lip gloss products that come in 4 different finishes—metallic, holographic, cream and sheer cream. The shade range is very diverse, from vivid orange and purple to a wide range of nudes. Formula: The new lip glosses feel minty on your lips as the product contains peppermint oil. The formula features Vitamin E that helps to nourish lips. The brand claims that lip glosses are also providing the plumping effect, but since I rarely test plumping lip products, I have no reference point. Package: The lip gloss comes in a stylish silver packaging with the imprinted letters U and D. The middle part of the tube is clear so you can see the shade of the lip gloss. 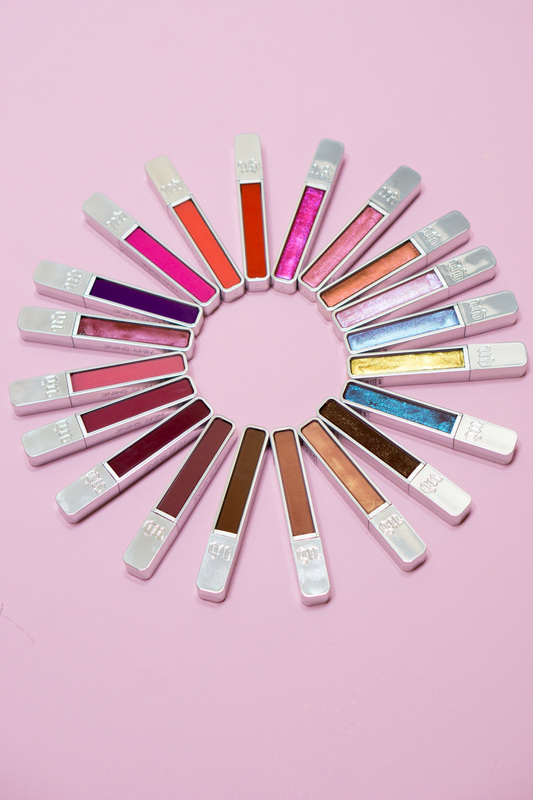 Cruelty-Free: Hi-Fi Shine lip glosses are cruelty-free. 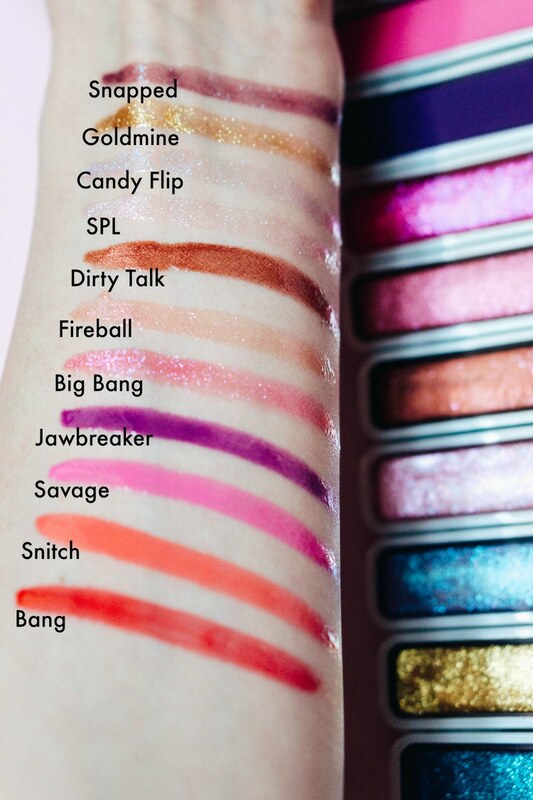 Vegan/Non-Vegan: This line of lip glosses contains carmine which makes them non-vegan. Applicator: The lip gloss features a flat doe foot applicator. Wearability: Personally, I don’t expect a lip gloss to last for a long time, but Hi-Fi Shine lip gloss lasted longer than your typical gloss. I especially loved wearing these lip glosses on top of a liquid lipstick so they eliminate an unpleasant dry finish some liquid lipsticks to provide. Price Point: $20 each; available at Sephora, Ulta, Macy’s, and UrbanDecay.